I really thought I had finished writing books and had expressed all I wanted to say in the first 4, but learning is always moving on and the number of requests I received about Dyspraxia indicated that a short dedicated book was still required. I investigated publishing on-line, but the comments I received were: “I like a paper book to be able to dip in and out of; I like a book to keep in the car so I can continue to refer to it; I like a book I can highlight and underline as part of my studies; your books are very reasonably priced and help me to develop as I cannot afford to go on many courses, but still want to improve my knowledge and skills; I like to be able to read and re-read the relevant section, because every time I teach someone it gives me a greater insight into their needs.” So here is another old-school paper book. Sorry!! I have also revised Book 3 and altered the title, but as postage is an increasing cost I have made both books as economically viable as possible, so learners and instructors will be able to afford them. When I first started writing about the effects of Dyspraxia on learning to drive some 20 years ago, it was a condition hardly heard of in instructor circles and yet to me it was a fundamental condition of many I taught to drive. Some had been diagnosed as being Dyslexic or Autistic because these were seen as educational difficulties which needed to be catered for within school. 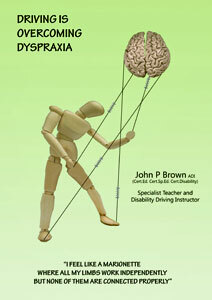 But what we Instructors encountered were the undiagnosed processing and physical factors which affected learning to drive in otherwise ‘neurotypical’ students, whose condition could more accurately have been classed as Dyspraxia. In recent years many more students are being diagnosed with Developmental Coordination Disorder, so instructors are now being faced with students saying they have Dyspraxia and the instructor does not know what to do. 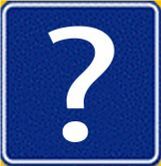 Awareness and information about these Specific Conditions is not part of the basic ADI training. This leaves both new instructors and students floundering and yet they still need answers. They know they want to offer Client-Centred Learning and yet don’t understand the Specific Needs and realise this is so much more than ticking the boxes on an ADI Standards Check, as it actually involves understanding the client and how they think and function. 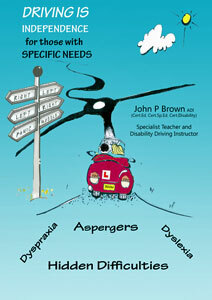 I hope these books address some of those questions for both Instructors and Students and give hope to those learners who are fearful and struggling and feeling ‘stupid’ because they cannot achieve what others find easy and that they can realise that DRIVING is OVERCOMING DYSPRAXIA. You might ask why I call my website Driving includes U and my reason is not to say everyone can or should drive, but that everyone should be encouraged to consider whether driving could be for them. My Logo depicts someone who is happy with their decision to drive. Too often I hear, “I was told I could never drive” or “I thought I would never be able to do it” or “I found it too difficult.” The prejudiced negativity surrounding some who want to learn can be very destructive both to their ambitions and also to their general well-being. 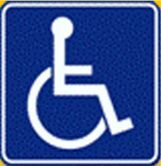 As a nation we are trying to be more understanding of the problems of ageing, disabilities and people with difficulties, yet when it involves driving, the system increasingly discriminates against those with problems. We need to be more positive in encouraging and enabling people to live a normal life and for many this may mean providing them with the opportunity to drive safely. I believe that for some people a fundamental obstacle to successful learning lies in the unnecessarily confusing theory questions and the rigid methods of instruction advocated by the Driving Standards Agency, where too much emphasis is placed on Obedience and not enough on Ownership. Whilst these may be OK for the majority of learners, they can be counter-productive for those who find it difficult to remember or follow instructions, but who are never-the-less capable drivers. Please read the books and if I can help you further please feel free to contact me.